Description Temperatures in Main Basin drop below 15 °C. Marco algae in Central Sound. Red-brown blooms in South Sound Inlets and parts of Central Sound. 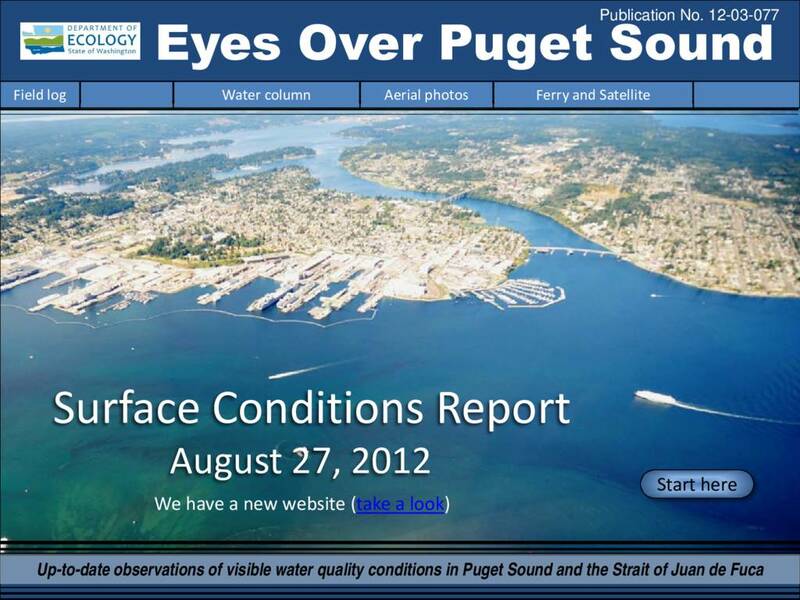 Jellyfish patches increasing in size in Sinclair and Budd Inlets. Low-Moderate fluorescence and turbidity in Main Basin and Admiralty Inlet.